The illustrious forts dotting the high hills of Rajasthan, narrate a bygone tale of valiant princely clans, who built them between 5th century AD and 17th and 18th century AD to serve the dual-purpose of fortifying their territories as well as flaunt their distinct fondness towards architectural beauty. 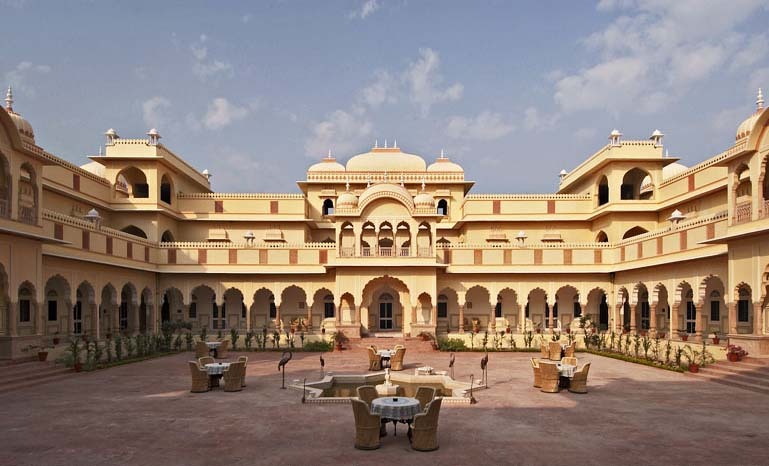 The proud flag bearers of an essentially rich cultural heritage, many today have been converted into luxurious hotels, thereby allowing leisure seeking tourists the gratifying opportunity of relishing a unique blend of traditional opulence and contemporary comfort. Visit them to realize what it means to live life king size. 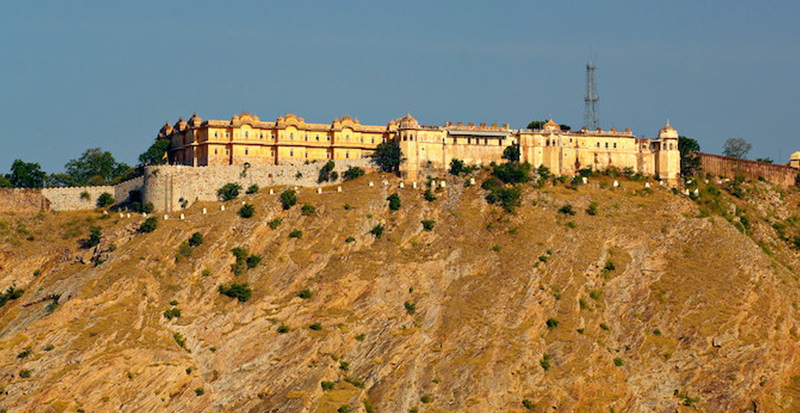 Built between 12th and 16th centuries in Chittaur, the capital of Mewar, this oldest fort in India stands tall with its saga of steadfast loyalty of Sisodia women, who unhesitatingly opted for death over the ignominy of surrendering before foreign rulers. 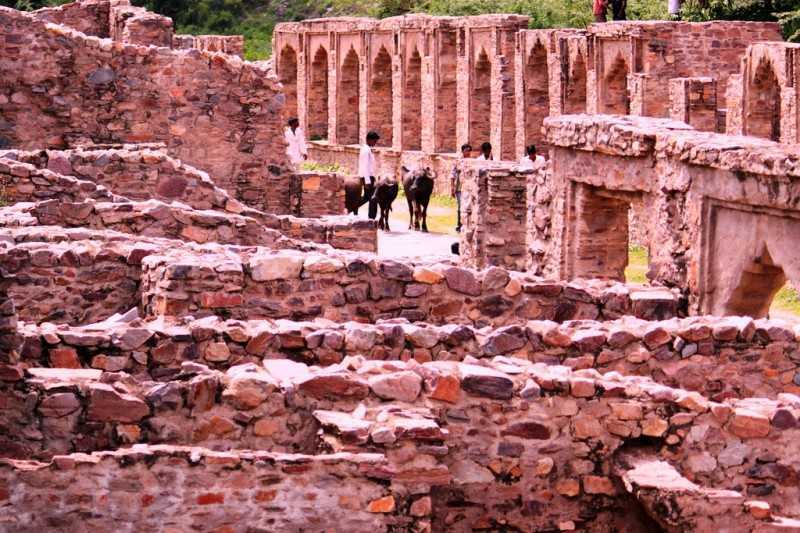 Its blood stained ramparts triumphantly cry out how the daring queen, Rani Padmini, along with 13,000 women willingly chose to end their lives by mass immolation. This happened after the tragic death of her husband, Rana Rattan Singh in war, when no option other than submission to Sultan Alauddin Khilji, was left. The mighty Mewar fort, comprising of 84 water bodies, was sacked twice after this and each battle triumphantly bears unmistakable marks of Rajput chivalry and sacrifice. Founded on top of a 125m high rock by the Rathore ruler, Rao Jodha, this fort demands a must visit for not only being one of the largest in India; but for its awe-inspiring contradictory features, magnificently manifested by lavishly adorned private palaces against forbidding ramparts. The seven gates namely, Jayapol, Fattehpol, Lodha Pol, and Dedh Kamgra Pol are proudly reminiscent of their individual historical significances, and on the second gate, you may actually witness several cannon ball imprints shot by formidable armies. 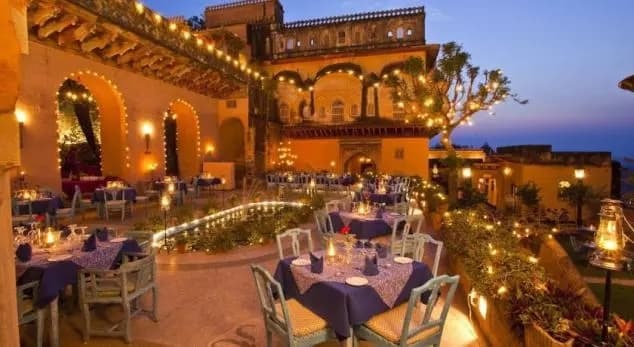 Seek out the expansive courtyards of palaces such as Moti Mahal, Phool Mahal, Sheesha Mahal, Sileh Khana, and Daulat Khana, where, despite the hot desert outside, you are sure to feel fresh. And lastly, generously explore the museum, featuring a well-stocked collection of artifacts such palanquins, howdahs, royal cradles, miniatures, musical instruments, costumes, furniture, and armors. 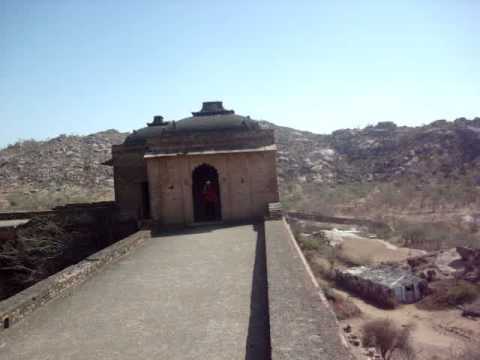 Built by Rana Kumbha around the 15th century AD, this fort is the birthplace of Mewar’s legendary king, Maharana Pratap. 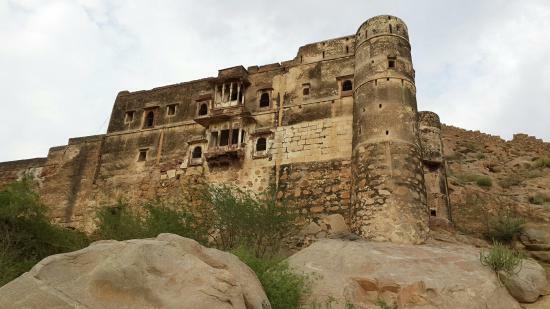 Built atop the Aravalli Mountains, this 1915 m high fort is remarkable for several notable features such as its wall having a thickness of 1525 ft and a perimeter of 36 km long. It also boasts of being the second longest wall after the Great Wall of China. 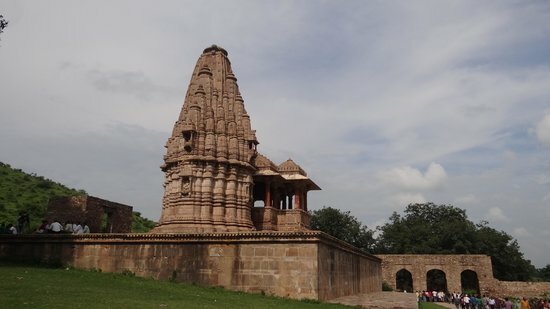 Moreover, there are about 360 temples, the most impressive ones being ‘Badal Mahal’ and the Shiva Temple, besides numerous crumbling shrines, parks and wells, also called “baoris”. 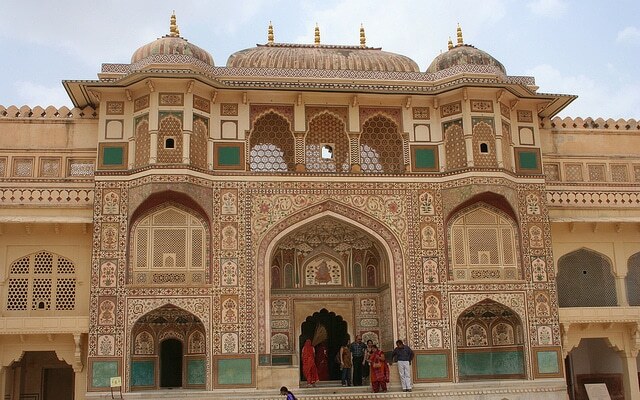 Until the 19th century, it was occupied by the Sisodia Dynasty but now it’s open for tourist attraction. 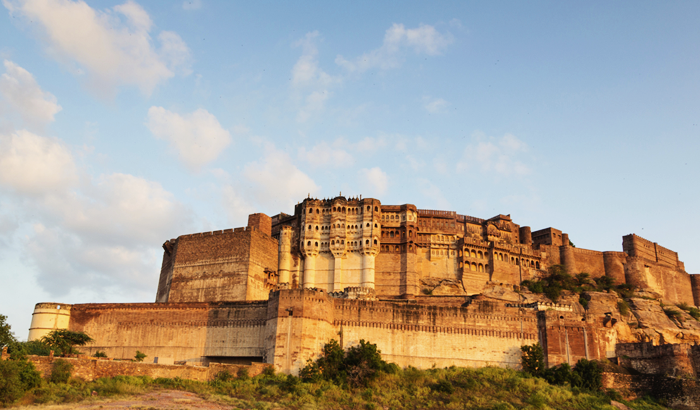 Constructed by Sawai Raja Jai Singh in 1734, this fort built on the Aravalli hills secures a haunted tale. According to local legends, the ghost of a prince, called Nahar, visited during its construction to confirm that the work got disrupted. When a saint prayed it to leave, it responded but only after ascertaining that the fort would be named after him. Accordingly, the fort was so named. 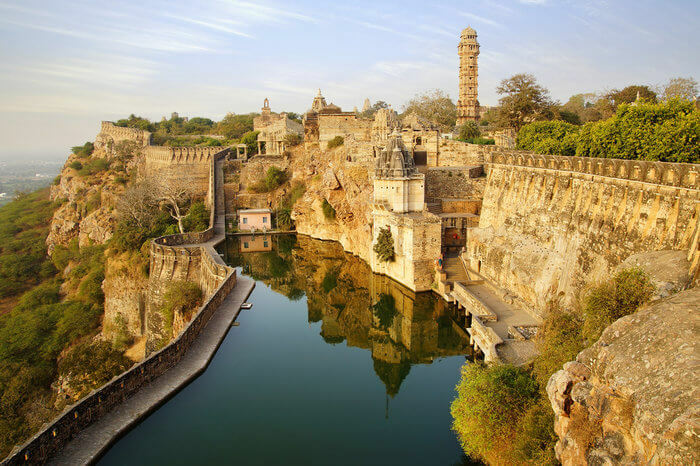 Erected to further fortify Amber, this fort enlists countless attractions such as the amazing Man Sagar Lake, made by Raja Jai Singh II in the middle of the lake to screen hunters. There’s also the summer retreat, Madhavendra Bhavan, that made by Sawai Ram Singh II in the 1880s, comprises of 12 entirely similar suites for his beautiful queens. Consisting 15 large and 51 small observation towers, this royal fort at a height of 305 feet, is a convenient spot for celebrating panoramic views of the city. There is no concrete information as to its original constructor, and it is generally assumed to have been built before the Mughal advent. Stretching across 5 km, the fort is believed to have survived the reign of varied rulers who mainly operated it as a guarding shield of the city. 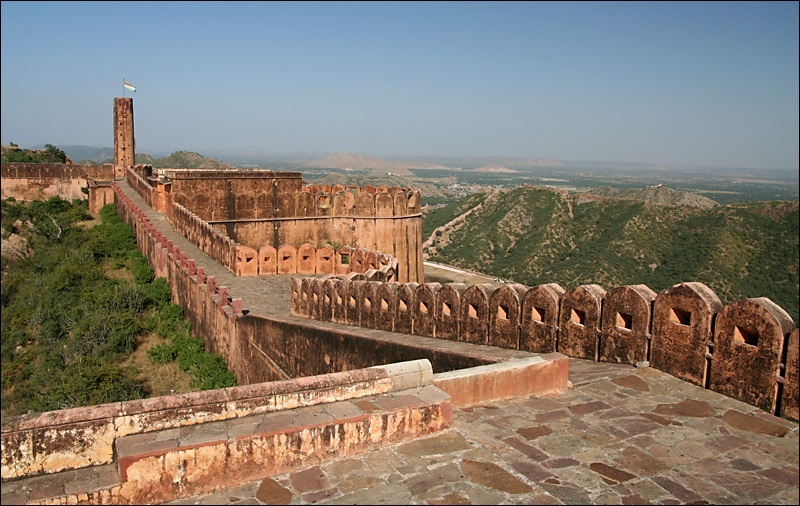 Overlooking the Maota Lake, this desert fort at a distance of 11 km from Jaipur is a marvel of stunning structural splendor. 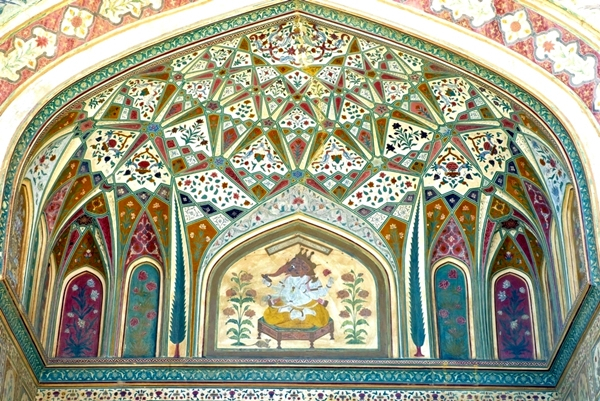 Carved out of red sand stones and marble, this masterpiece, built by Raja Man Singh of the Kachwaha clan, has mesmerized tourists down the ages for its exquisite mirror palace, Sheesh Mahal, ornate halls of glass known as the Diwan-I-Am and Diwan-I-Khas and the striking temple called Sheela Mata. Other architectural wonders such as the creation of artificial clouds over a water cascade to provide cool temperature make the fort worth visiting by a whopping 5000 visitors every day. 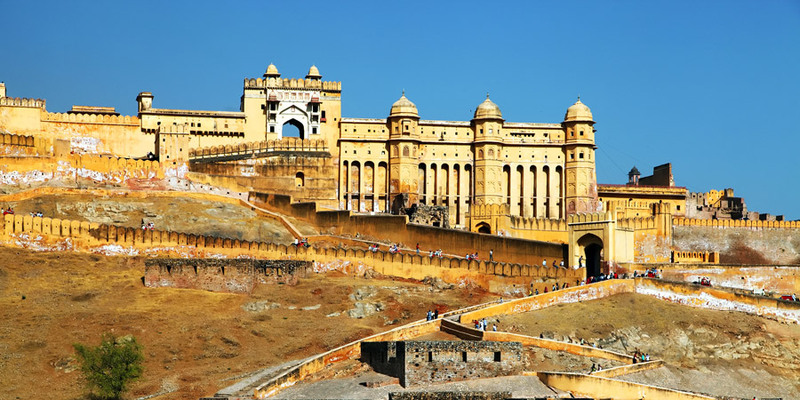 In 1726, Kachwaha Rajput ruler Maharaja Sawai Jai Singh II, built this fort, 400 feet above Amber fort, atop a hill called ‘Cheel ka Teela’ or the hill of eagles to solely protect the Amer Fort. With four courtyards, namely Laxmi Vilas, Lalit Mandir, Vilas Mandir and Aram Mandir, the assembly hall of warriors, Subhat Niwas, an armory, a museum and a cannon foundry, it can be your ideal destination for rejoicing past relics. 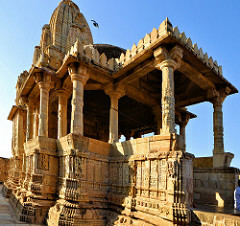 There are also two temples namely, the Ram Harihar and Kal Bhairav, built consecutively in the 10th and 11th centuries. 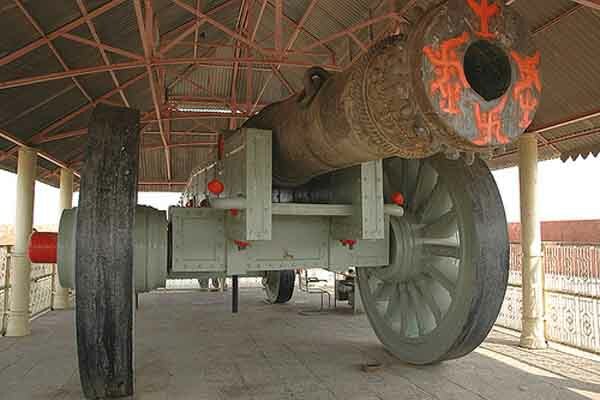 Finally, don’t leave without laying your eyes on the Jaivana cannon, the largest cannon in the world on wheels that was made in the foundry of the fort itself. Looming across the golden stretches of the Thar Desert, on Trikuta hill, stands a fort in yellow sandstone and marble, the walls of which resemble a tawny lion during the morning, only to glow in honey gold with the dissipation of day. 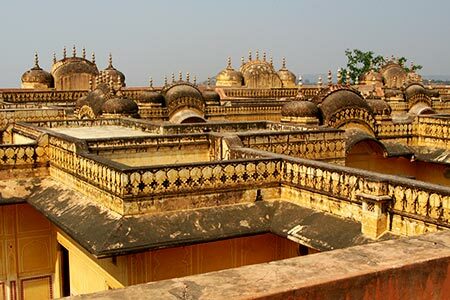 The Golden Fort, immortalized in Satyajit Ray’s famous movie, “Sonar Kella”, is Rajasthan’s second oldest fort and one of the largest in the world. 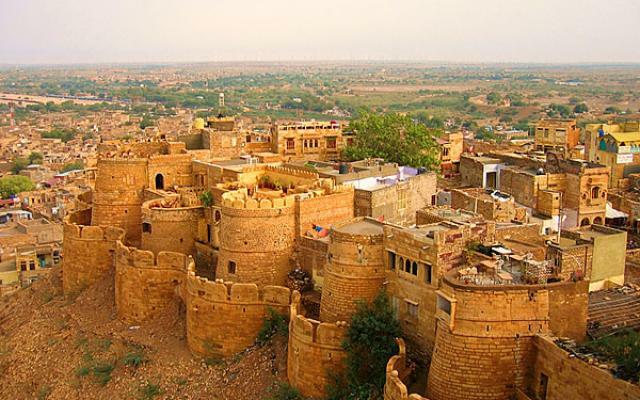 It was built in 1160 AD by Bhati Rajput king, Rawal Jaisal and so the fort has the name “Jaisalmer”. 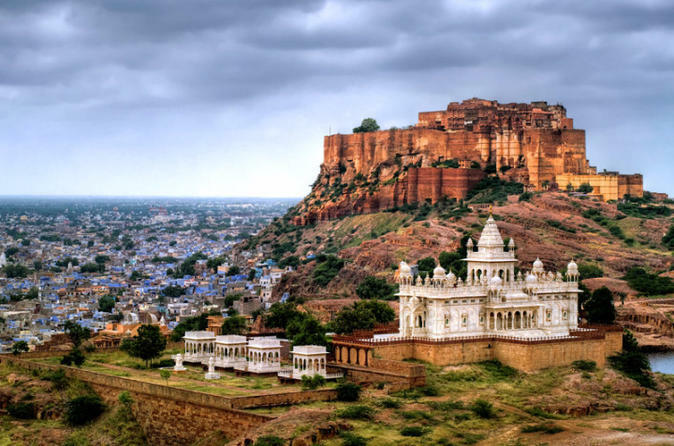 The major attractions include the Raj Mahal (the royal palace), the Shree Nath Palace, Jain Temples, Lakshminath Temple and the four massive gateways. The inmates of the royal family once resided in the royal palace, but it has been converted into a heritage center and museum. 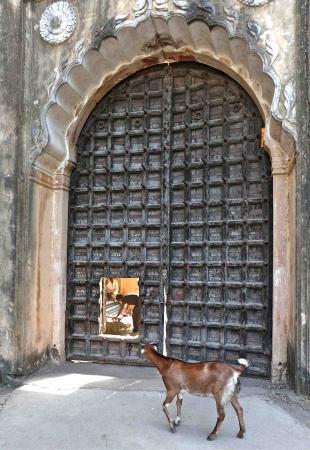 There are also numerous havelis, containing countless rooms with adorned windows, known as asjharokhas, built by prosperous merchants.Check out the host of lip-smacking eateries providing French, Italian and native dishes before you bid adieu to this memorable monument. 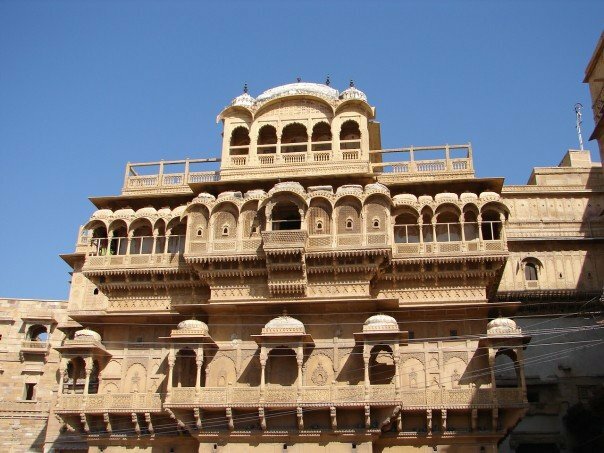 This fort built by king Bijaldev of the Pramara dynasty, presents an interesting geographical location – the rivers, Ahu, Kali and Sindh are on its three sides, while a forest and the Mukundarrah Range act as its fitting backdrop. 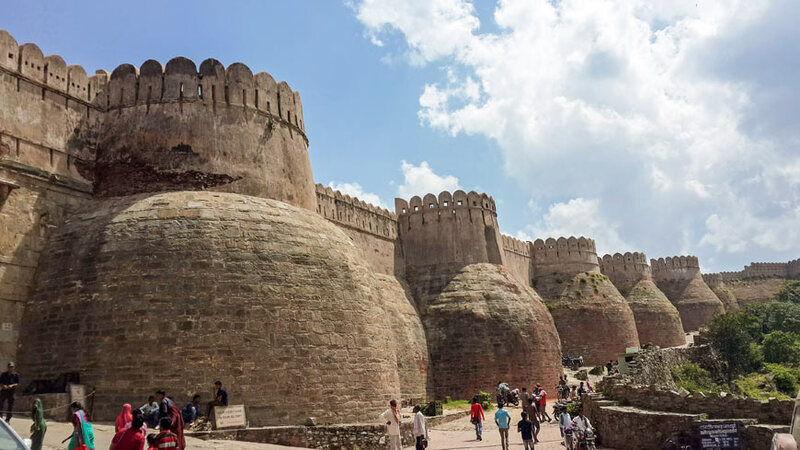 Situated at a distance of 12 km from Jhalawar city, its war ravaged walls are an unfailing witness of the bravery of the Khichi Chauhan clan in opposing the forces of Hosheng Shah, the Mandu ruler. If you plan to visit in the months of Moharram, your trip may be infused with additional enjoyment, since a spectacular fair is held at the Dargah of Sufi saint Mittheshah, just outside the fort, every year. 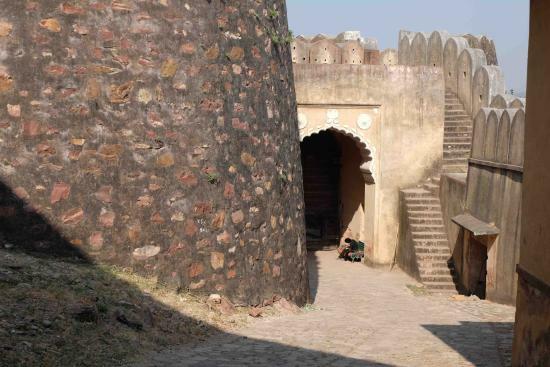 This 17th-century fort, built by Man Sigh 1, for his brother, Madho Singh 1, has earned the name of “devil’s fort” for raging reports of it being haunted. Amidst the two legends supporting the claim, one holds that during the erection of the fort, Man Sigh had been strictly warned by a sadhu called Baba Balak Nath, to not lengthen the fort’s walls such that their shadows fell on his house. However, when one of the ambitious descendants did so, misery struck upon the fort, leaving it devastated within no time. Another story revolves around an evil wizard, N.K. Sinhai, who, having failed to marry the pretty princess Ratnavati, took his revenge by cursing that Bhangarh would be destroyed. The fort consists of four main gates, the Lahori Gate, the Ajmeri Gate, the Phulbari Gate and the Delhi Gate along with many Hindu temples like Hanuman Temple, Gopinath Temple, Someshwar Temple, Keshav Rai Temple, Mangla Devi Temple, Ganesh Temple, and Navin Temple. 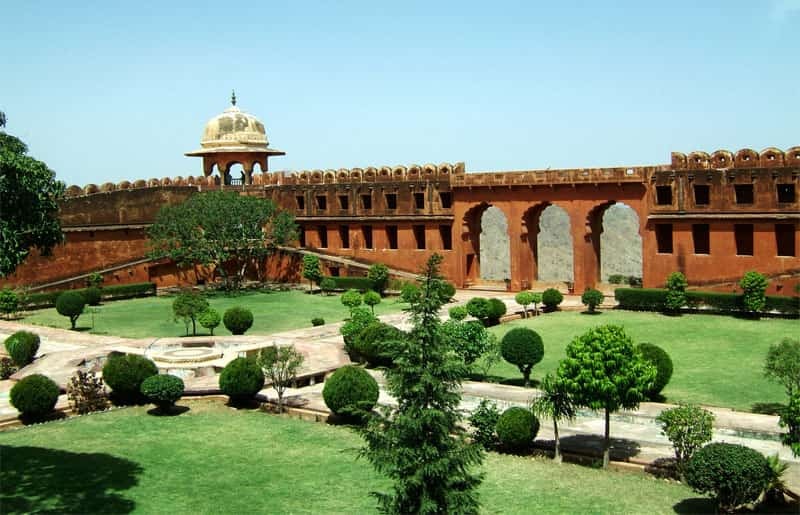 Take care to visit this mysterious and dangerous fort only during day time for, as per a notice, put up by the Archaeological Survey of India, no one is allowed to enter the precincts after dark. 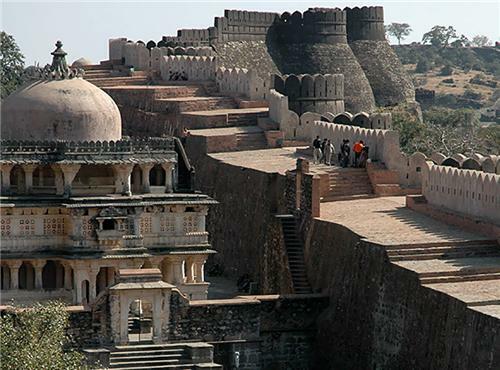 If time permits, visit Pratapgarh fort nearby. Known variedly as Sonagir, Golden Mount, and Swarnagiri, this is one of the forts that have been left unconquered. 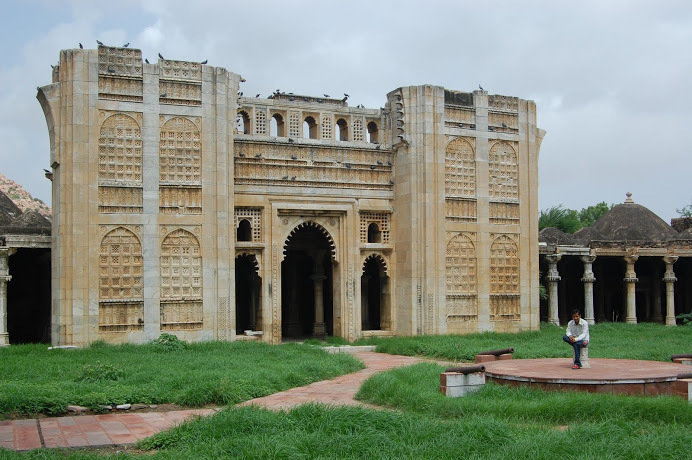 It was established in the 10th century by the Parmar Rajputs following the tradition style of Hindu architecture. When Alauddin Khilji, attacked it in 1311, many Rajput women performed “Jauhar” following the martyrdom of their husbands in the war. Housing Jain temples and mosques, the fort today is one of the chief historical destinations of tourists, desirous of having a sneak peek into the lost chapters of India. 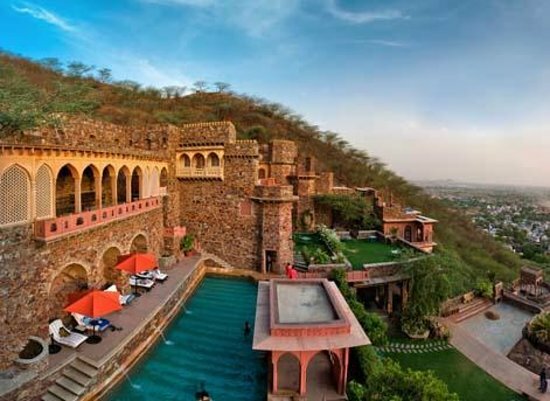 Besides these, there are some other forts like Deogarh fort, Deeg fort, Barmer fort, Ranthambore fort, and Ajmer fort that are both exciting and alluring. 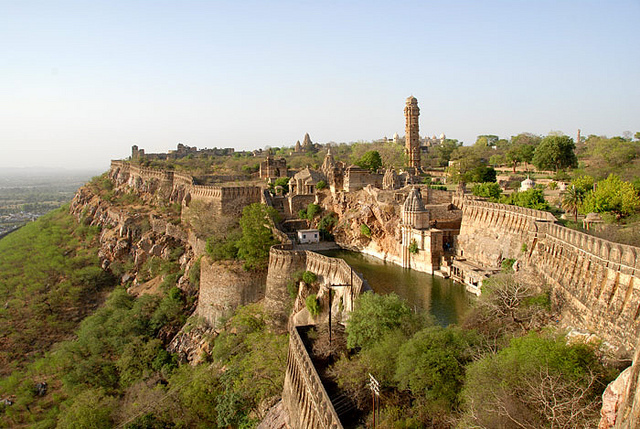 It is also important to note that six forts amidst these, namely Chittorgarh, Kumbhalgarh, Jaisalmer, Ranthambhore Gagaron and Amber have also been recognised as World Heritage Sites by Unesco. 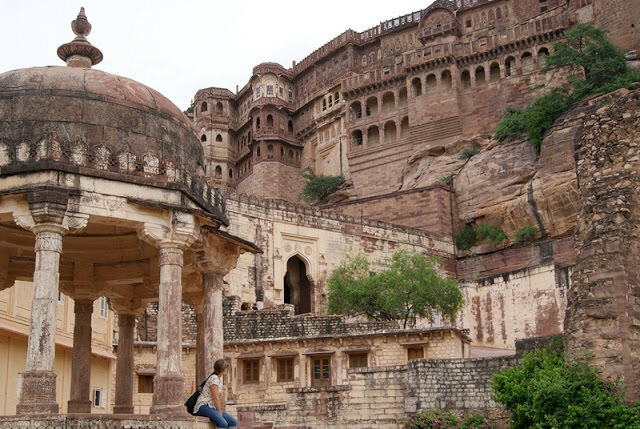 The forts of Rajasthan, besides successfully resisting foreign invasion by aptly employing natural defences of landscapes such as hills and rivers, were also elaborate centers of music and learning. 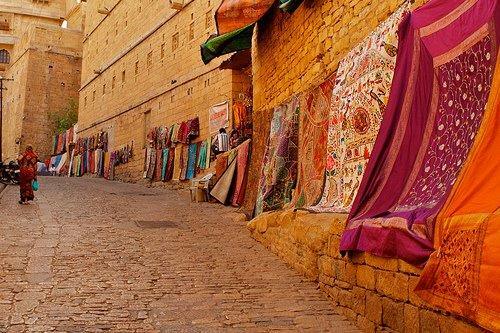 This is wholly because, the presence of palaces, trading posts, temples, etc. 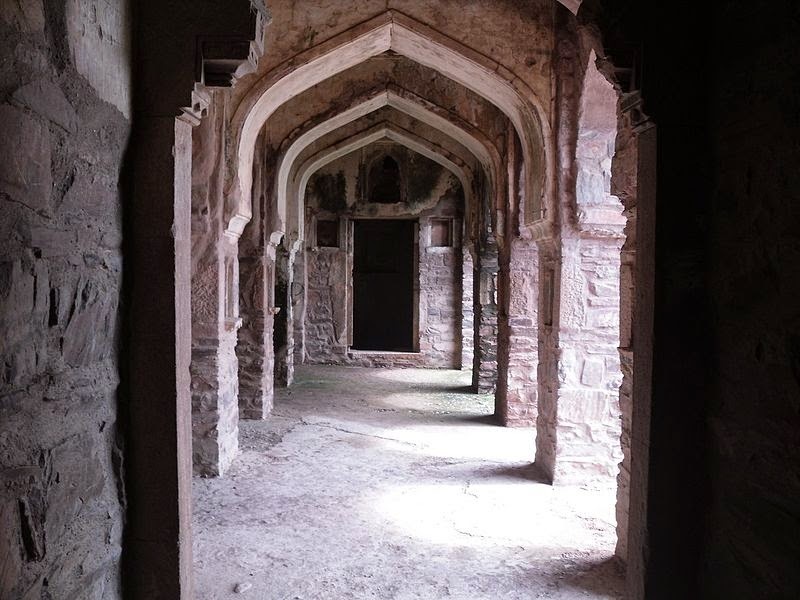 within the walls, generously aided in fostering a vibrant courtly culture. The enduring structures, thus, exercised immense significance in the colorful lives of the daring Rajputs. Today, gone are those gutsy days, and all that remains are endless tales of tumultuous times, heroic spirits, and great sacrifices. Share in the majesty, even if for once.